Holiday Disguise, off since annexing the Bouwerie S. at Belmont back in May, picked up right where she left off with a comfortable score covering the longest distance she’d been asked to go. Tucking in behind the leaders to track along the fence, the bay looked loaded for bear as they hit the quarter pole in 1:14.40. Tipped out for clear sailing by Junior Alvarado, she cruised away from her competition without ever really being asked and despite struggling a bit with her leads. AI thought there was one [or] maybe two speeds in the race,said Alvarado. She actually broke faster than I thought. But as soon as I got her covered up behind the [Frost Wise] she settled very nice for me. Before the half a mile pole, I knew I had a lot of horse. It was just a matter of time until I give her the green light and then when we turned for home I just put her in the clear and she did the rest. I was just a passenger this time. 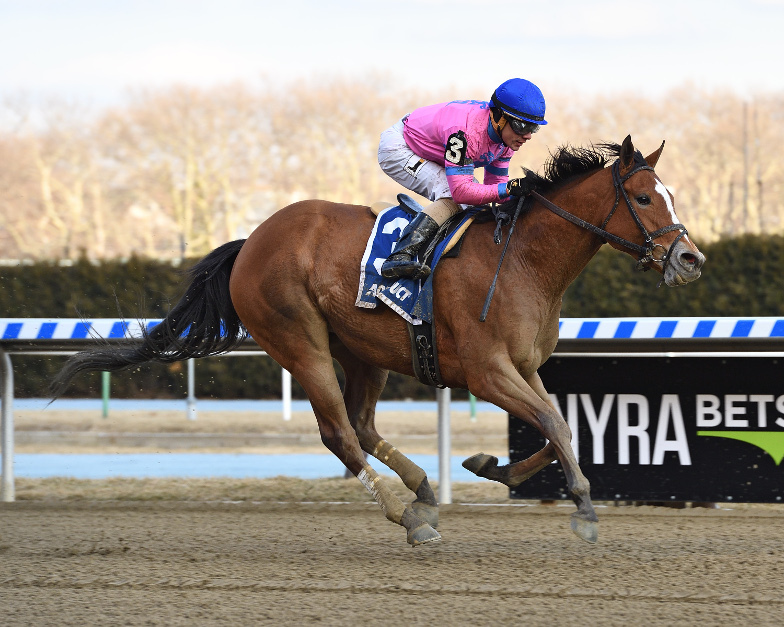 A second-out graduate over this strip in April, Holiday Disguise also romped in a state-bred allowance a few weeks before her Bouwerie victory. She ran so well when we ran her last year at [6 1/2 furlongs] and had a nice closing kick, trainer Linda Rice said. At seven, she ran so well, so to me, I thought she was a natural to get [one mile], but you never know until you try them. I could see she was on the bridle and definitely interested, and I was happy she wasn’t loose on the lead.